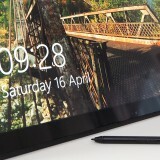 This article talks about preinstalled software on the Yoga 3 Pro notebook. You can also read my full review here. 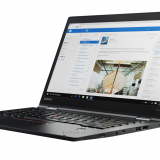 As you open up your Yoga 3 Pro for the first time, you will find a lot of software has been preinstalled. 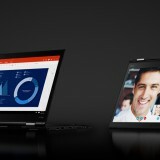 If you read this article and you do not find all of this on your Yoga 3 Pro, it might be because Lenovo is committed to bringing you a clean PC experience sometime in the future. 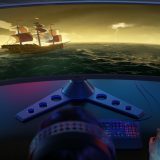 So here is a list of applications and my comments for them. Nitro Pro. This is a PDF manipulation suite. You can start a trial as this suite only works if you pay for it. While offering some neat things like editing and creating PDFs, this also means there is no free PDF reader installed (apart from Microsofts own Reader application, which I consider a little bit too simple). As my needs are served by Office (creating PDFs) I was not ready to pay 136€ for something new. As such, I uninstalled Nitro Pro, and replaced it with Adobe Reader. Lenovo Reach (REACHit). This software tries to consolidate your different cloud storage locations by indexing them all and allowing you to search them at the same time. You decide if you need it. Lenovo SHAREit. A file sharing application. With SHAREit you can share your files between your own devices or with your friends and family who are nearby. Beats using an USB file stick, and is also faster. Try it! OneKey Optimizer. 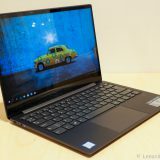 From Lenovo. 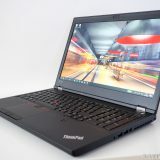 This is a neat system utility that provides notifications for software and firmware update, offers some limited power management features and also display a battery icon on the task bar (a’la Power Manager for ThinkPads). I found it useful. Pokki / PC AppStore / Start menu / Host App Service. Pokki offers (yet another) application store and a start menu replacement. I found this to be completely useless to me, and I recommend uninstalling this software. There are some complaints online regarding Pokki as well. Phone Companion. From Lenovo. Having no Android phone I did not try this app. 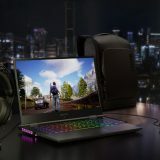 Lenovo Companion App. This app provides tips and articles to read, offers support options, displays warranty information. Useful. Lenovo Browser Guard. Makes sure your browser home does not change. I find this a little agressive, and removed it at once. Lenovo Messenger. 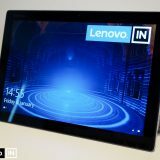 Displays messages from Lenovo (like remember to register your system). It does not take up a lot of resources so I decided to leave it. Hightail for Lenovo. Yet another file sharing / cloud service. No need for more. Dragon Assistant 3. If you want to dictate. Yoga 3 Pro demo. A bunch of videos showing you the Yoga 3 Pro. Safe to remove after viewing them. Microsoft Office 2013. You need to have your own key to activate Office. Based on your key, Office will enable various parts of itself. I just bought one and it took a long time to start up. 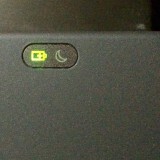 Now still showing “lenovo” logo. Any idea why? Sorry, I cannot help you there. I have not seen this particular behavior with the Yoga 3 Pro. If you just bought it maybe take it back to the store? There might be something wrong with it. Other than that, you could try pressing the Novo button and then doing a factory reset? Hi! 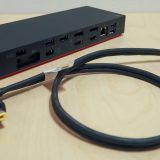 This post is very useful, can I ask you which one can be removed without compromising the PC? Hi Sara, I think you can pretty much remove all of the applications I mention in my article, without compromising the PC. I have not listed any drivers that are installed – those are needed for the operation of the PC. I would still suggest you keep OneKey Optimizer, because it is also able to update your system (drivers) and run checkups. 1. can i still get the free upgrade to windows 10 – if so what link will take me there. 2. i still prefer windows 7 over any others is there a link to download it and if i did will the yoga support it properly. 3. all that “lenovo” labled added stuff, found in the program uninstaller under control panel, can it all be safely removed. Hi gerald and sorry for the late reply. First, I am no expert in Windows licensing issues, but I will try my best to answer you. The free upgrade to Windows 10 offer expired I believe on 29th July. So technically you would need to pay for the update if you want to install it now. I am not aware of any places to download Windows 7 if you do not have a license to use it. Because the Yoga 3 is a touch device I would also not recommend Windows 7 for it, because W7 does not have proper touch support (it has support but I don’t find it good enough). I cannot say for driver compatibility on W7. 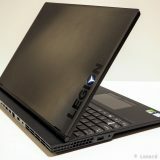 The included software varies a little from notebook to notebook so I don’t know what “Lenovo” programs you have installed. 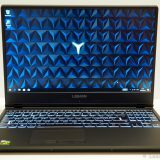 Check my software list here and in the Yoga 900 article to see what is what, and what you could need. Certainly do not remove any drivers! I read in your post that you unistalled Nitro and replaced it with Adobe Acrobat Reader. On my Yoga 3, I did not uninstall Nitro (in fact I even bought Nitro 10, but I am not super happy with Nitro 10 because of some error messages I get again and again). After this disappointing experience, I tried to install now Adobe Acrobat Reader, but at the end of the installation process the Laptop shows an error message “A newer version is already installed” – and the Installation stops and can only be quit.